Kaarlo Kangasniemi was the first Finnish Olympic champion in weightlifting. He won Finland’s only gold medal at the 1968 Olympic Games in Mexico. Kangasniemi dominated the 90 kg weight class for several years. In 1969 he won gold at both World and European Championships and in 1970 took the European title again. 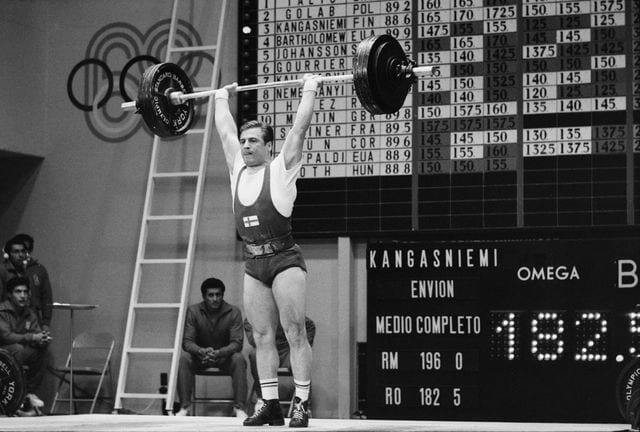 All in all, Kangasniemi collected a total of 40 World and European championship medals in different weightlifting disciplines and made 17 world records.